Is My Retirement Fund Safe If I File For Bankruptcy? Yes, so long as it is a fund and/or account that is recognized by the IRS as being for the purpose of retirement. Typically, people have retirement or pension funds to which both the employer and employee contributes. These contributions are normally in the form of a simple deduction from the employee’s paycheck, and held in trust by a third-party management company. When someone files a Missouri bankruptcy, the funds that have accrued in the retirement plans have to be disclosed (in other words, the individual must make the Bankruptcy Trustee aware of its existence). But so long as the accounts are properly recognized as retirement plans by the federal government, then they are exempt. Gaining exempt status in a bankruptcy is a very precise process. Whenever someone files a St. Louis Chapter 7 bankruptcy or a St. Louis Chapter 13 bankruptcy, all of the person’s assets, debts, and income must be disclosed. Some of the more typical items of personal property would include kitchen appliances, pots, pans, dishes, furniture, clothes, jewelry, fire arms, etc. The government then provides you with certain dollar exemptions to cover these items. So long as the items in question are covered by the governmental exemption, then there is no need to worry about the Bankruptcy Trustee getting his hands on any of it. For instance, the government provides you with an exemption in the State of Missouri for Household Goods and Furnishings of $3,000.00 ($6,000.00 if you file jointly with your spouse). If the garage sale value of these items is less than $3,000 (and it almost always is), then there is nothing the government can do with your household goods and furnishings. When we are talking about retirement plans and/or pensions (like a 401(k)), the government provides an unlimited exemption. This means that regardless of how much the value of your retirement fund is, the entire thing is exempt (i.e. the government can’t get their hands on it). The reason for this is simple: If you are filing for bankruptcy, one of the things that you are going to need to count on is a healthy retirement plan waiting for you. 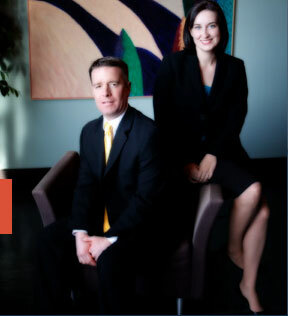 The St. Louis bankruptcy lawyers at Brinkman & Alter, LLC have been making sure that every retirement plan we come across is completely exempted, and kept safe. Our goal is to help guide you through the entire process, and to get you the fresh start / clean slate that you deserve. All phone conversations and office consultations are free of charge.